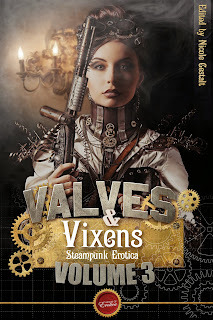 I'm currently in the process of getting the last read through of Valves & Vixens 2 done, whilst also reading the submissions for Valves & Vixens 3 (deadline is August 31st so you still have plenty of time to get your submissions in! - Submission guidelines can be found here: http://nicolegestalt.blogspot.co.uk/p/blog-page_10.html). All my submission calls are based on genre's I love to read and work in. Whilst I've not had much published in this latest submission calls genre I love reading the genre and have so many books and dvd's my bookcases groan every time I walk past them. There will be a cover image coming soon but for now I present the guidelines for A Dose of Murder, Mystery and Mayhem!